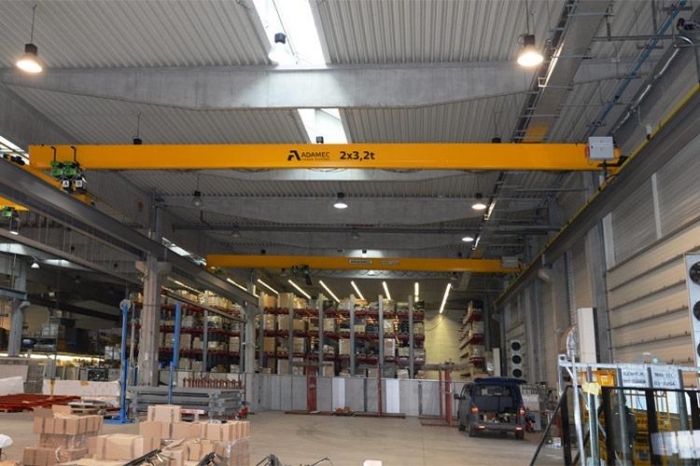 We just delivered more of cranes for Adfors (Saint Gobain Vertex) Litomyšl company. 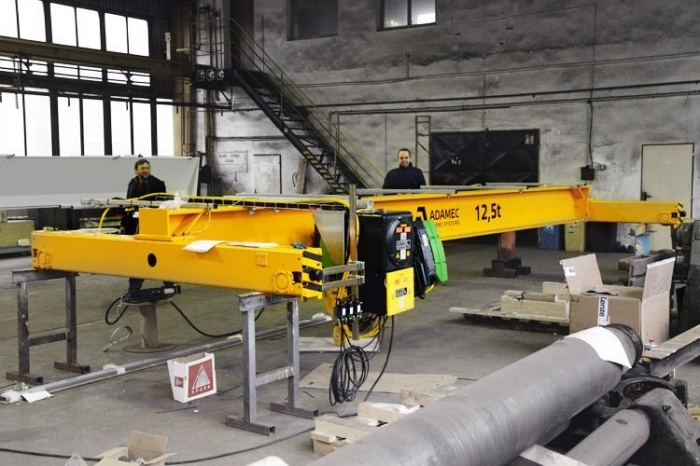 Special low-profile cranes equipped with special trade weight ACS 16t/17 m and ACS 10t+5t/17 m.
Special eight-wheel crane 16t. 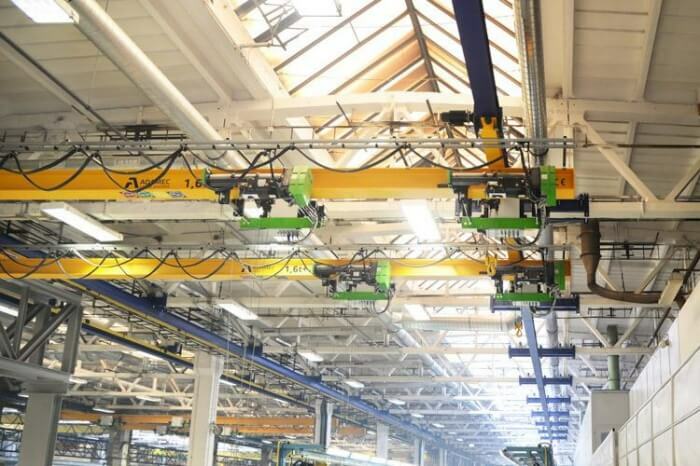 Main beams are made of light type box profiles. 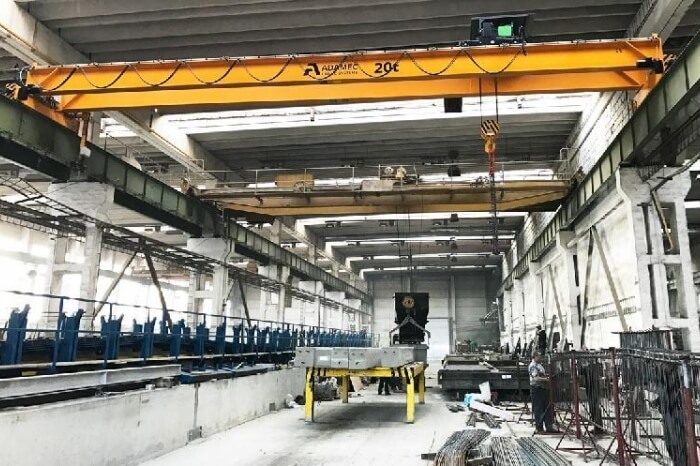 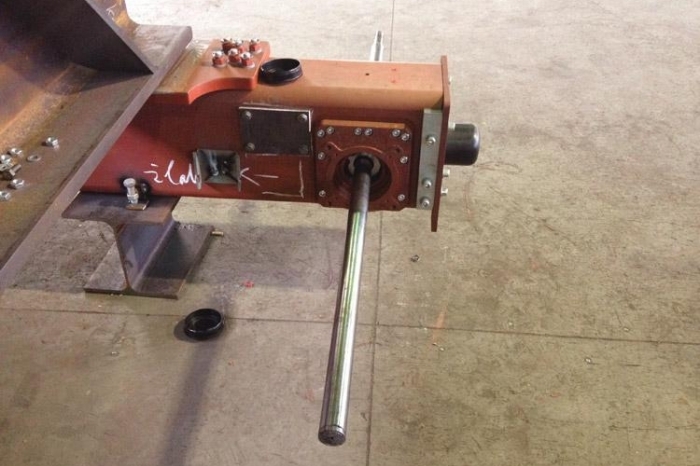 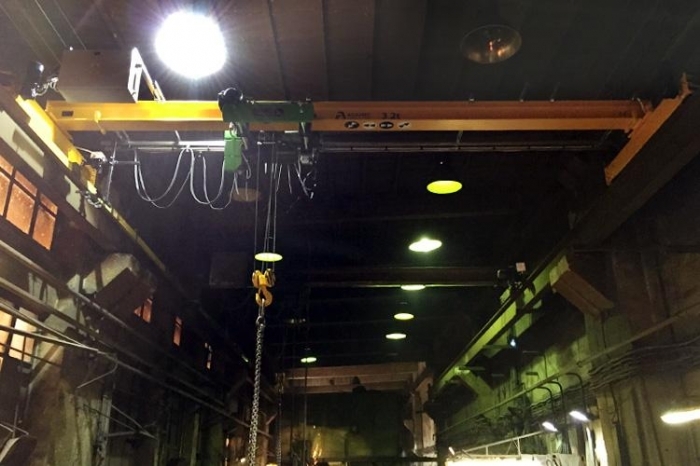 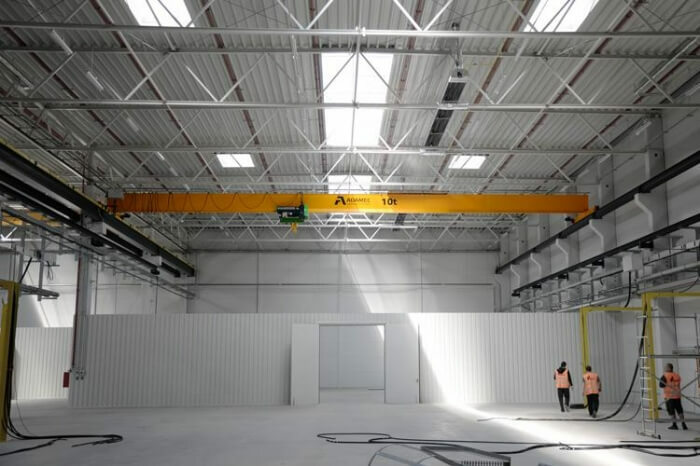 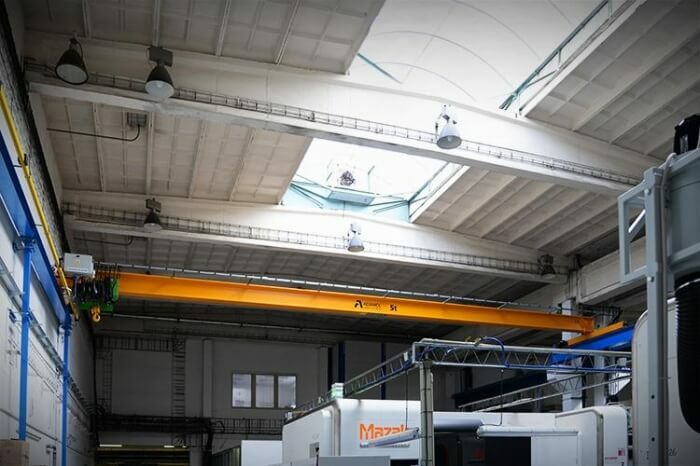 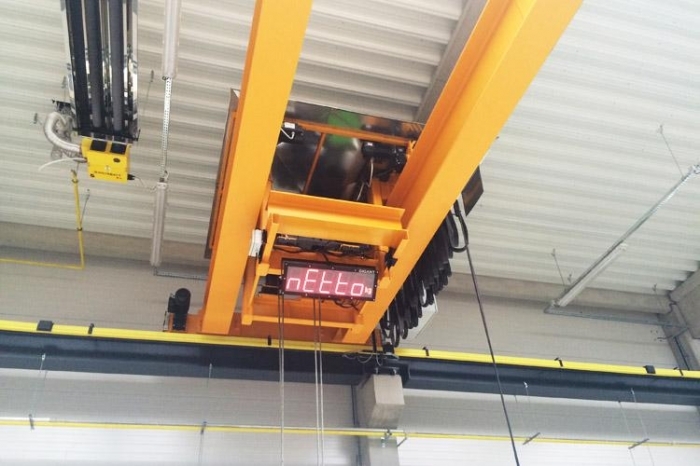 Single girder explosion-proof overhead travelling crane ACS 12.5t/7.92 m Ex. 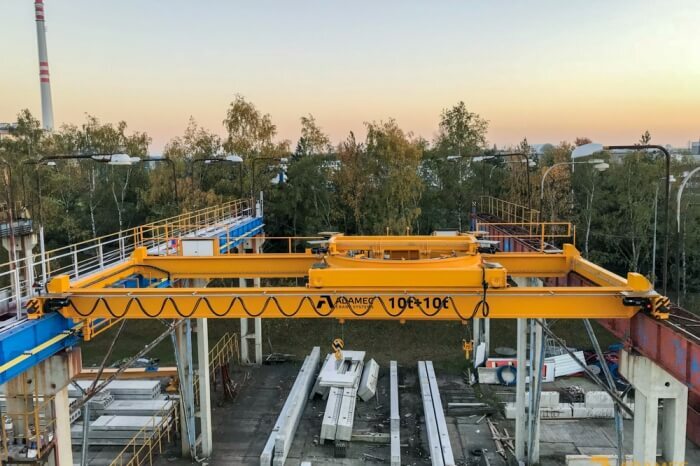 Heavy-load crane ACS 35t/8.9 m.
For the Czech branch of the French company Groupe Latécoère based in Prague-Letnany we delivered a crane ACS 5t/16.5 m and a crane runway with a length of 48.55 meters, which is placed on columns. 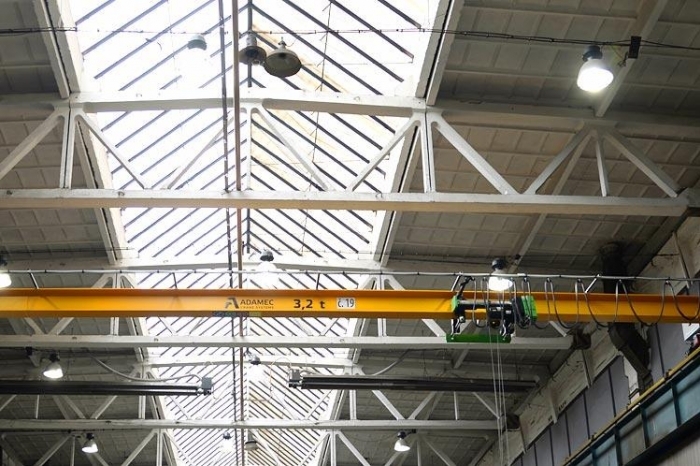 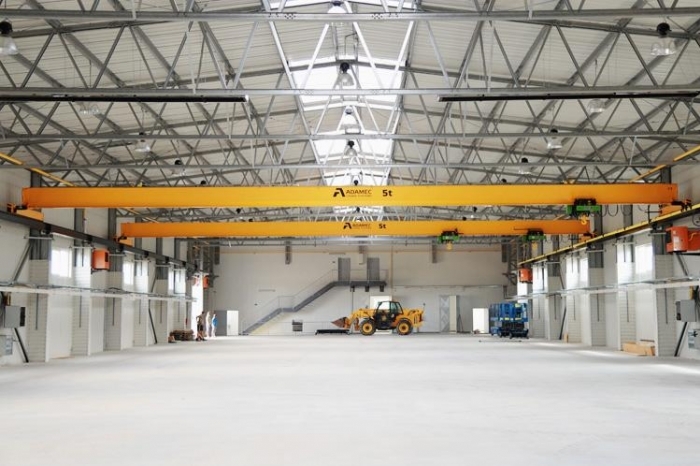 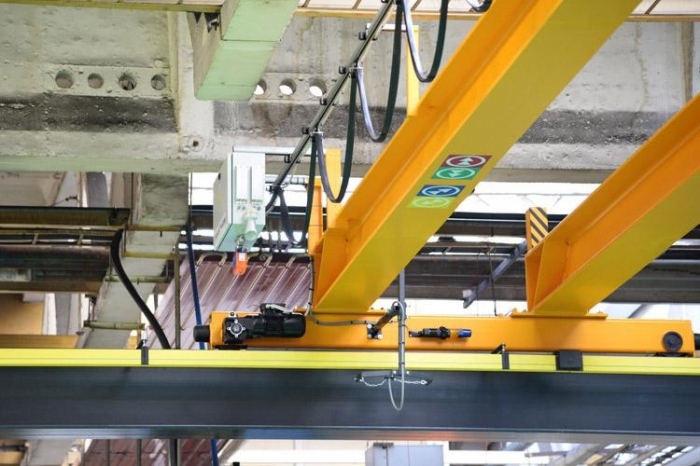 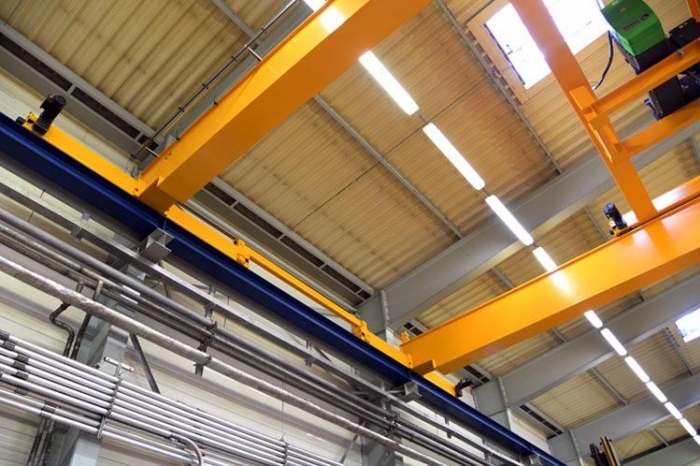 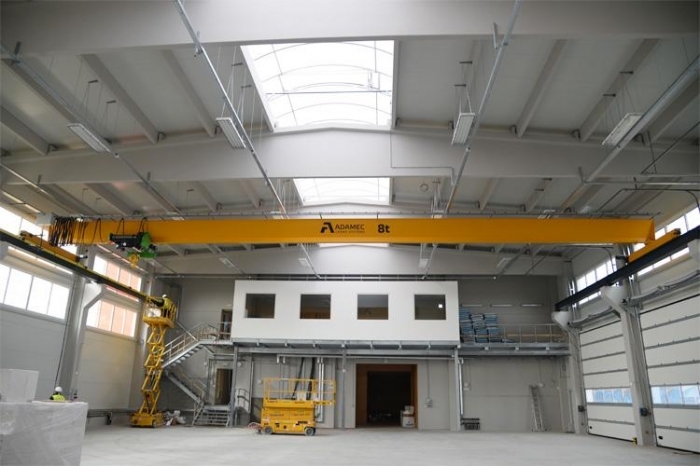 Double girder overhead travelling crane ACS 5t/16.8 m with crane runway 24 m long and columns. 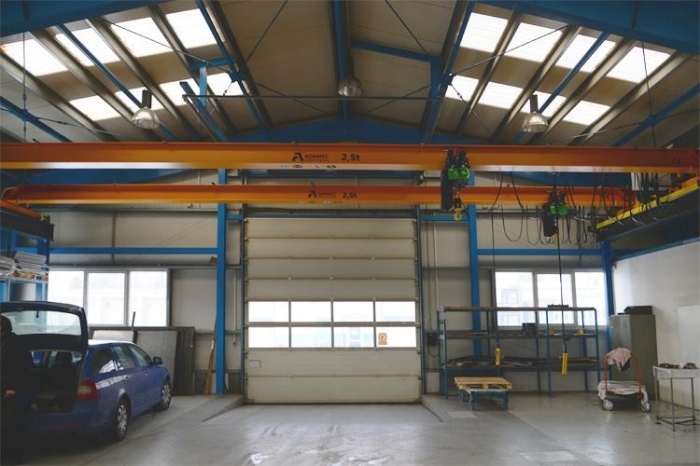 Double girder overhead travelling crane ACS 3.2t/16.8 m with a bridge. 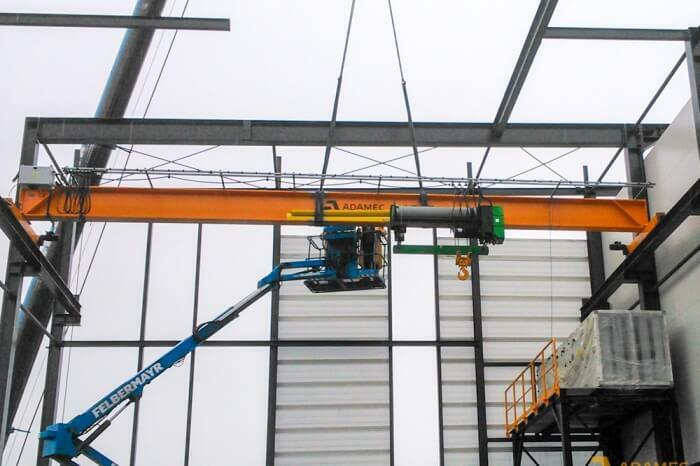 Double girder overhead travelling crane ACS 10t/16.8 m with a footwalk and crane runway 54.85 m long. 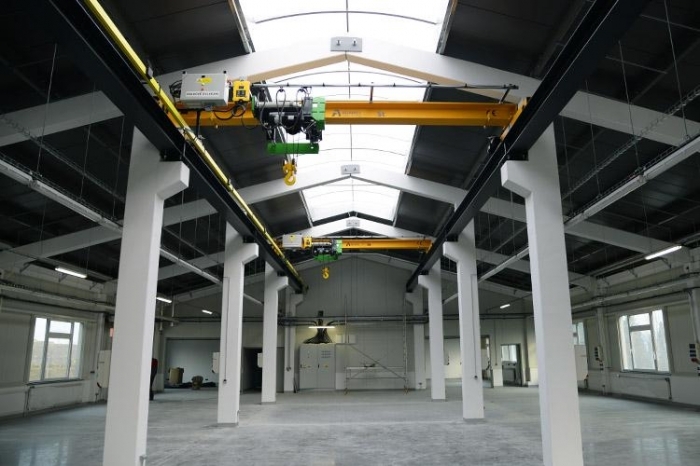 Crane runways with specially-shaped beam, as well as standalone columns. 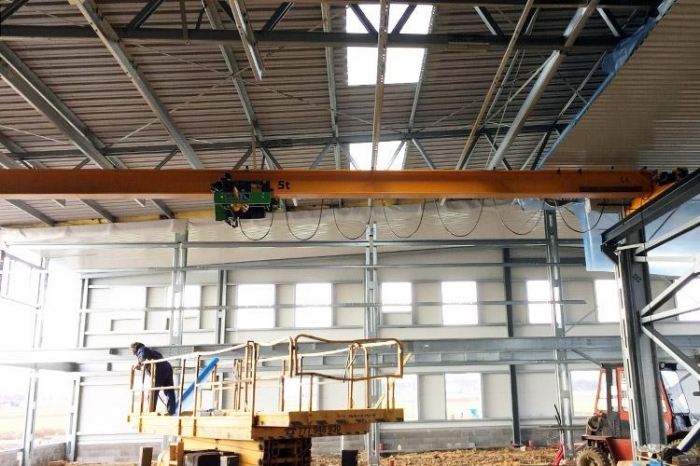 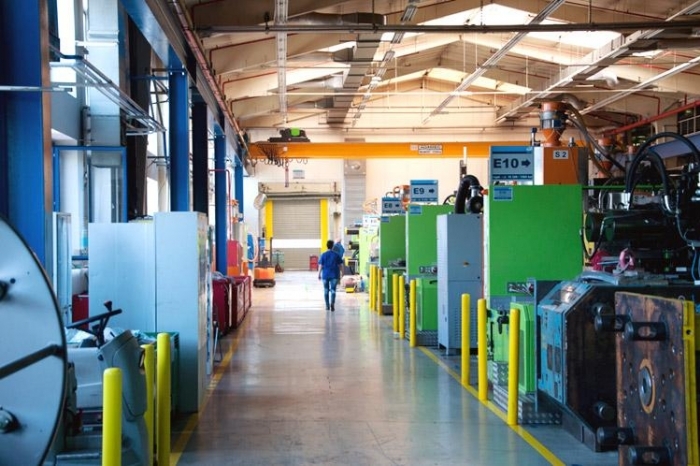 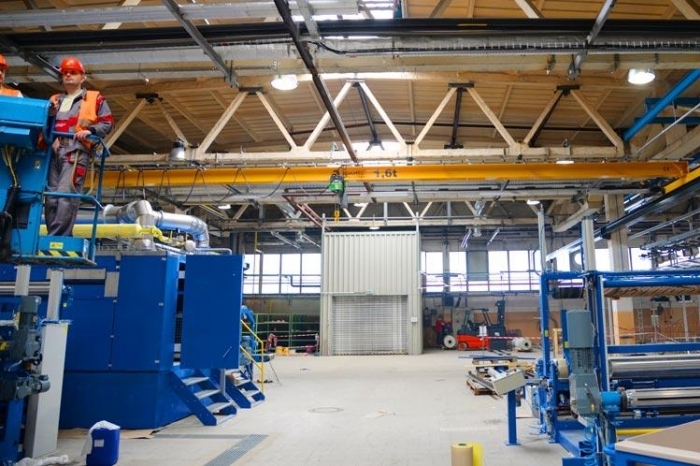 An overhead travelling crane ACS 5t/11 m.
ACS 8t/22.5 m with a crane runway 28.5 m long. 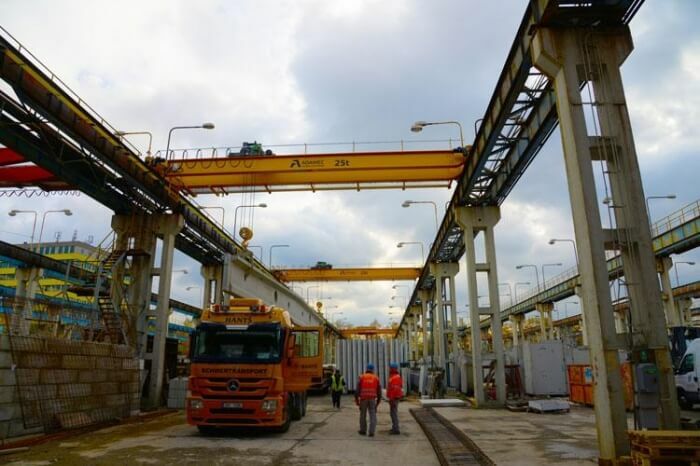 ACS 8t/22.11 m with a crane runway 67.9 m long. 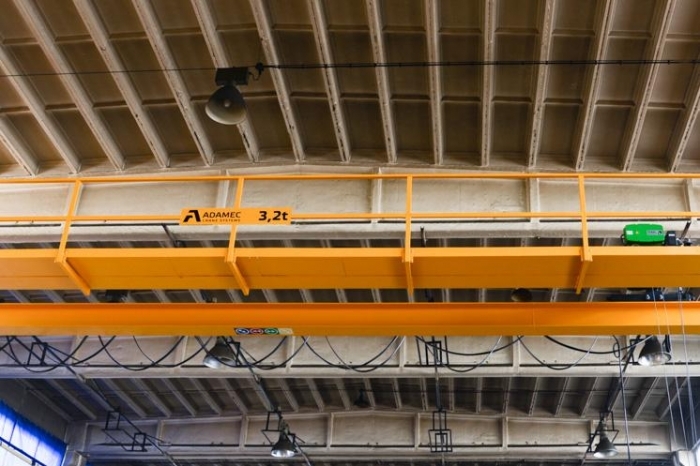 ACS 6.3t and ACS 3.2t. 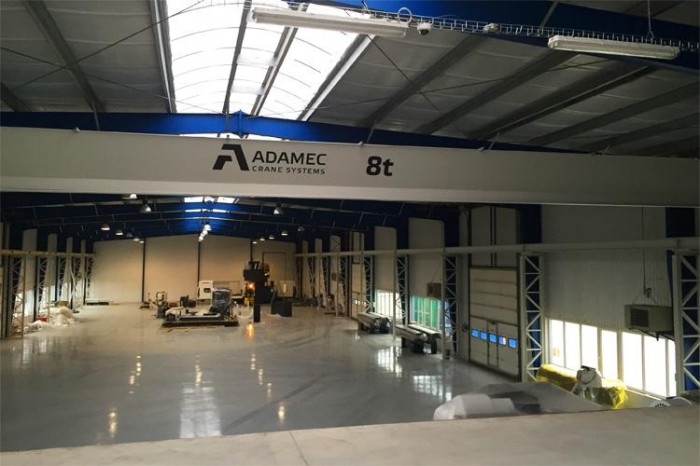 ACS 5t/5.5 m with runway 34 m long. 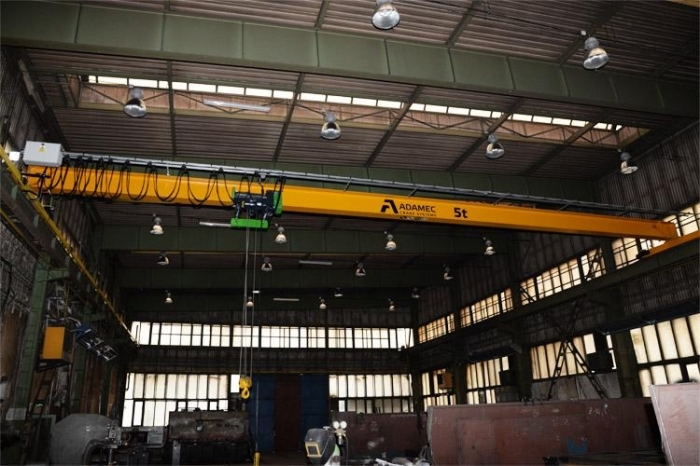 ACS 5t/13.77 m with a crane runway 45 m long. 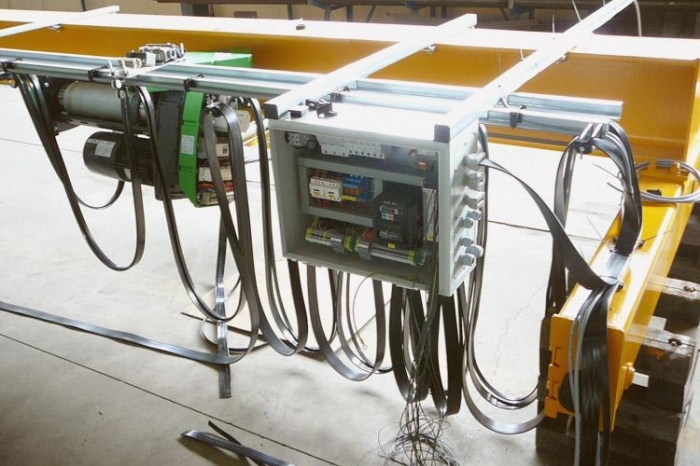 ACS 3.2t/12.7 m and ACS 5t/12.7 m including 70 m crane runway. 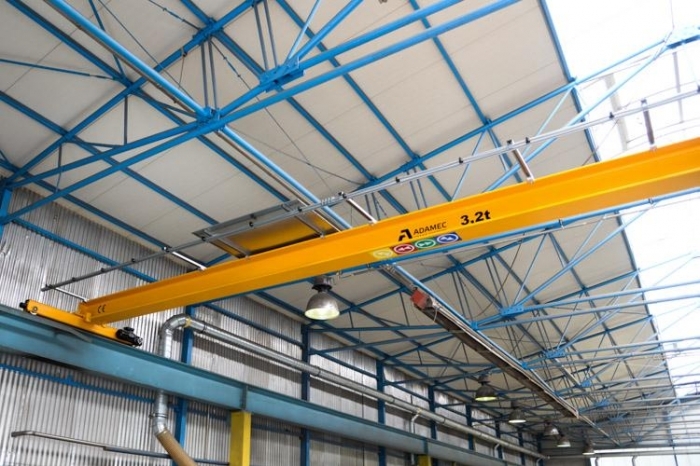 ACS 2.5t/13.5 m with a crane runway 30 m long. 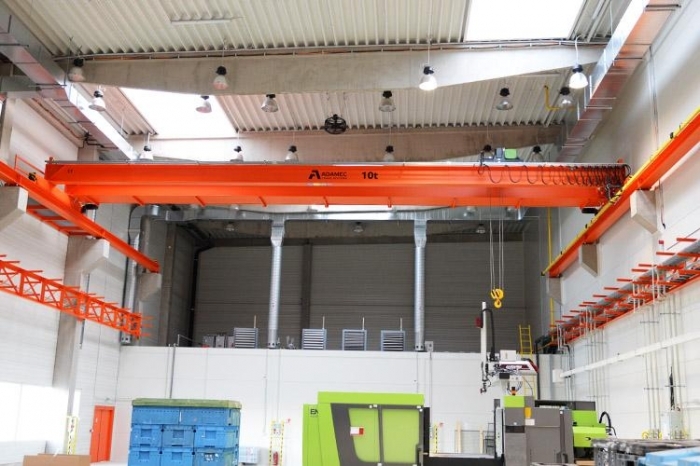 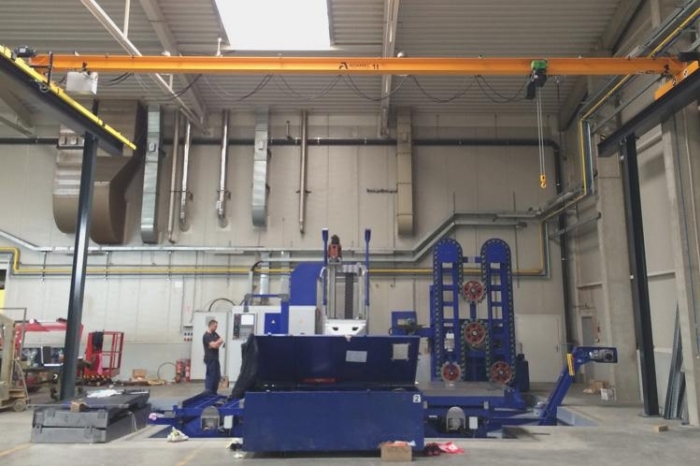 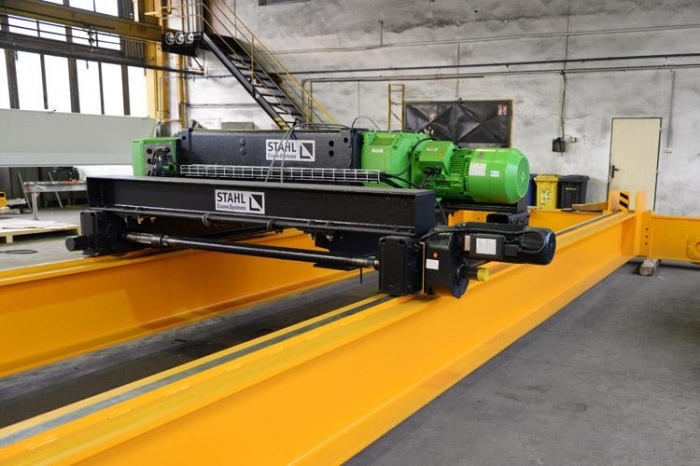 ACS 1t/11.95 m crane including crane runway and standalone columns. 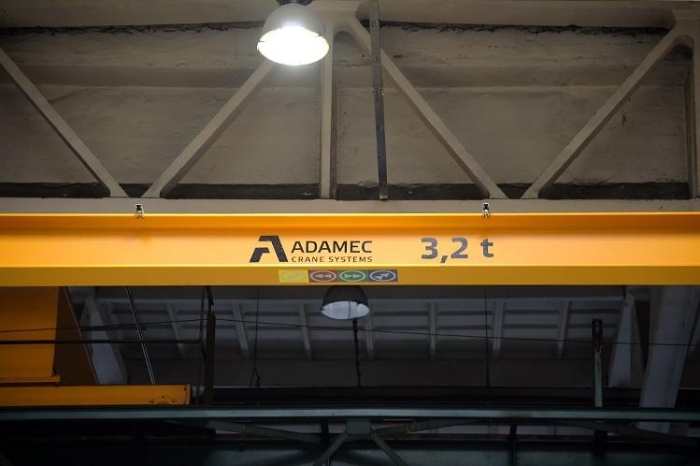 ACS 10t/24.05 m, ACS 2x 5t/23.2 m and ACS 5t/23.2 m.
25t crane including crane runway and stanalone columns. 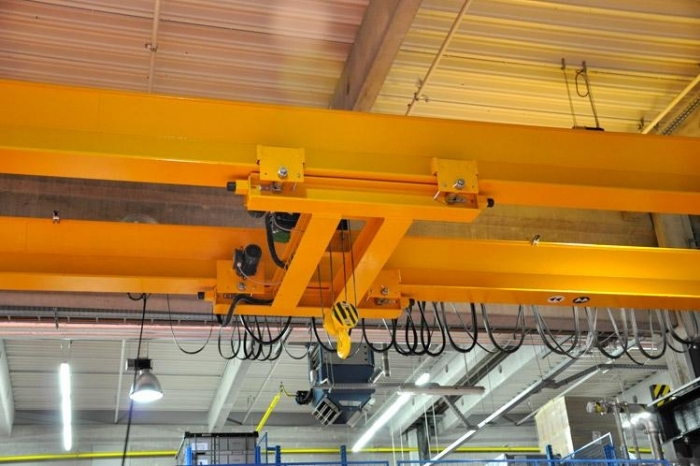 The crane has two crabs for turning forms.